Orchid chandelier, a floral interpretation of the majestic chandelier at the Eltinge Theatre during Broadway's Golden Age. 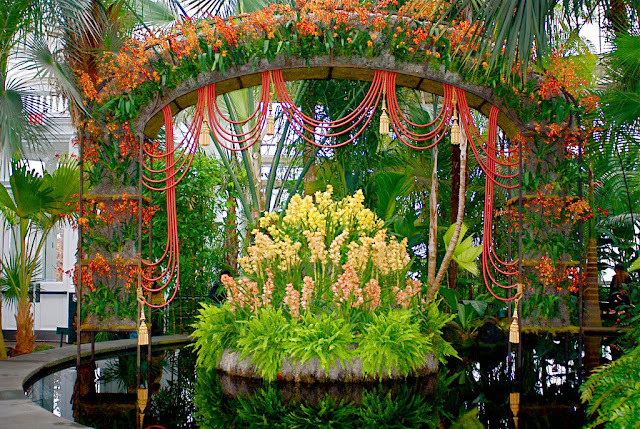 The New York Botanical Garden's orchid show, "Orchid Show: On Broadway" opened yesterday at the Enid A. Haupt Conservatory. Tony Award-winning set designer SCOTT PASK and image-maker DREW HODGES brought together over 300 types of orchids and created displays with dramatic curtains, chandeliers and arcades reminiscent of Broadway's iconic theaters including the Walter Kerr Theater and the New Amsterdam Theater. 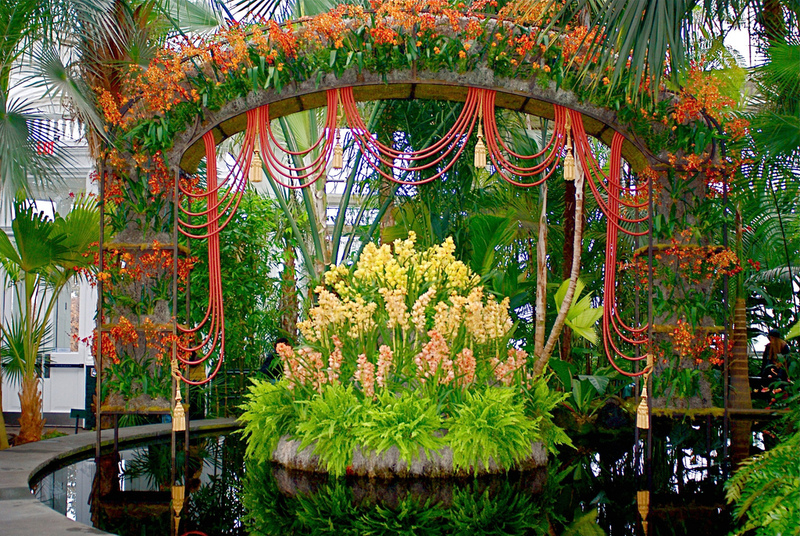 On a limited engagement, the NYBG Orchid Show is the largest orchid exhibition in America. The botanical garden's Library Gallery has a special exhibition, "Hirschfeld's Broadway Scrapbook" featuring the Al Hirschfeld's private collection of iconoclastic line drawings of Broadway performers, authors and songwriters. Hirschfeld was one of the most important figures in contemporary caricature.